So a mate and I decided we wanted to give foiling a crack. 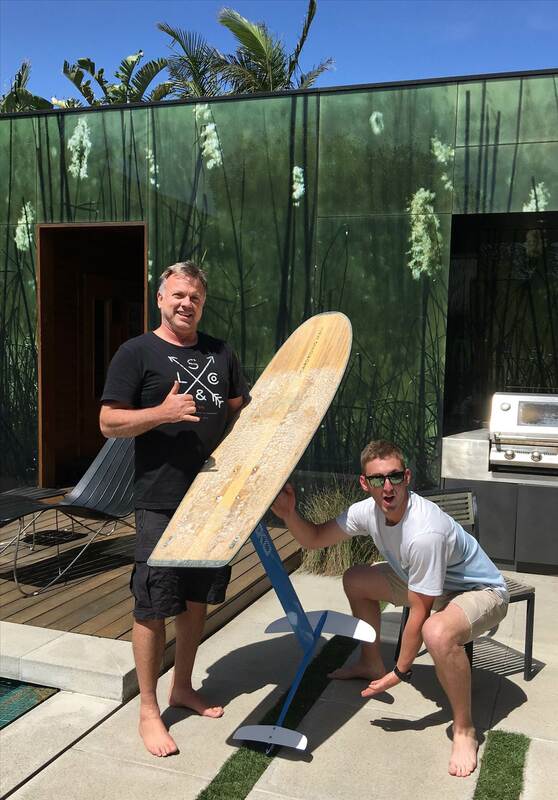 So we borrowed a home made one.. bolted it to a wakeskate (a boat one) and had a go. First go was for a 20 mins each and we got going enough to know we wanted to get into it. So I did 10 minutes of research (cause I'm impatient) and decided to go with a Zeeko Alloy. I still wasn't sure I wanted to get right into it so went with an alloy instead of spending a heap on a carbon. I had read enough that the LF is too slow so ruled it out. So I have been out on the zeeko three times now and love it. 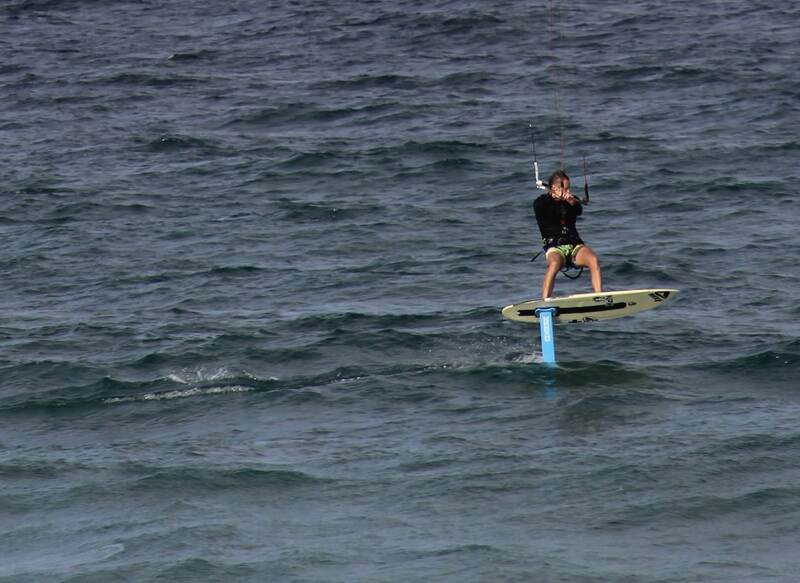 I have bolted it to my kite surf board (Zeeko provided a template for the bolt holes and location relative to front foot strap) and am currently riding it with just a single front foot strap. We have only ridden it in open ocean, not flat water. Putting it together is a breeze. all screws came pre-greased, and the provided allen key tool handles all the different sizes. The foil is quite heavy...I don't notice it riding ...yet, but you certainly do notice it when handling it in the water etc. your body position compared to the foil is far too forward . Bring it back so your back foot is behind the mast . That's a nice review Skeb. and yes they are a bit cheaper buying here. we will have a demo Alloy foil up and running by end of September, here in Vic. although by the amount of interest in these foils there might be a roadtrip happening. So we finally get to keep one of the Zeeko Alloy foils that comes in, and have it setup on an old directional kiteboard. Mainly to show that any old board will get you going. and we will also have it at Mambo. 2016 Slash Foil&surf board with the Alloy Foil attached. That looks a sweet setup Tony. I haven't tried riding one of these yet but from a visual inspection the Zeeko looked to be so much better designed and assembled than some of its notable (bigger company) competitors. All of the pieces were milled and machined to produce what appeared to be a streamlined and efficient piece of kit. There was no sections of standard unmilled square bar or suspicious welds as seen with some other foils. It's quality certainly turned heads on the beach at Mambo. So when are you bringing it to West Vic Tony? I have a bunch of guys who want to give it a try. P.S. If you leave it with me I can pimp it around. Aargh Junglist! The things people will say to get their hands on one of these. 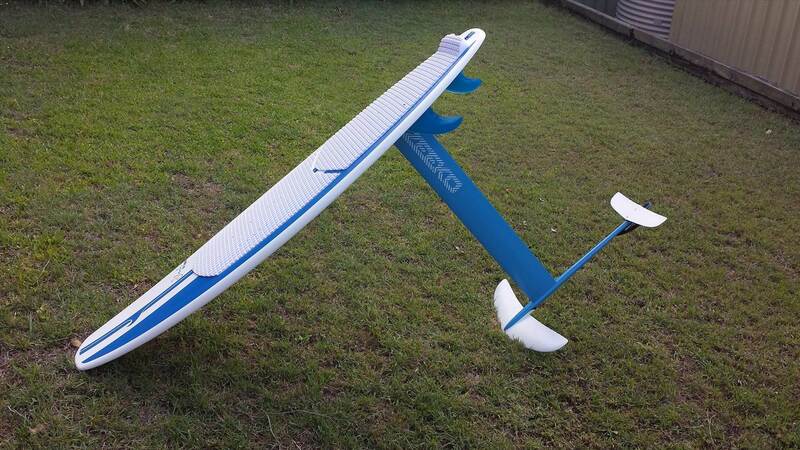 2016 models are do very soon, and of course Zeeko Carbon series foils are ready to ship. We also have a Pocket Board on its way so when we have it all I will be over ASAP. Yes RAL INN I have now mounted my Zeeko, to a BRM Paipo. And yes, tried it once so far and spent the whole session floating all over Hampton Beach like a complete tard. So too early to give a review other than to say 3Inlet Windsports were fantastic to deal with and the Zeeko came packaged brilliantly (ready for future travel if you wanted) and with an outstanding build quality. If you hang around Hampton I am normally out flying a BRM Cloud 2, an almost perfect match for the foil. My setup is totally influenced by Greg Drexler (boardridingmaui) and if you have seen any video's of him foiling you will know what I'm aiming for. a picture of my setup is below. I've watched a couple of those BRM vids and can say that Greg Drexler impresses me as well. I love how he seems to have the attitude of doing it the way he likes and wants and if you want it that exact way then here it is. Nico at Zeeko started the same which is why I got involved way back. And he still is hands on. Gotta love those one man shows.